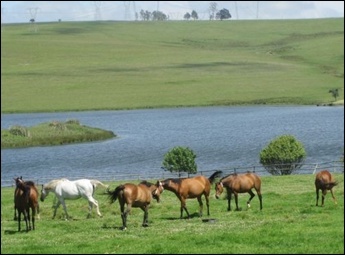 Yellow Star Stud is a rambling farm making its way down the Middelrus Road just outside of Mooi River in the heart of the Natal Midlands. The adjourning farms of Clovelly, Moyeni, Golden Acres and Warley Common together make up 1200 hectares of natural sweet veld. There are well established pastures, with access down tree-lined avenues to beautifully fenced paddocks. Koos and Lorraine de Klerk run the farm as a family business. 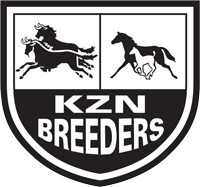 Koos was recently elected Chairman of the KZN Breeders Association. The stud is predominately a boarding farm, with long-standing clients, seasonal visitors and short-term spelling, and currently have 120 mares residing on the farm. 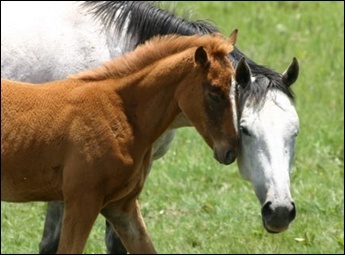 There are 125 Stables in the various yards; a well equipped foaling barn with crush and dispensary on hand. Stallion stables leading out to good sized exercise camps. Two large stable barns used for yearling preparation for sale and the racing barn. This is home to Turffontein based trainer Chris Erasmus’ satellite yard and we have well-maintained grass and sand tracks used for his training of the horses. Our Yellow Star Stud team also use these tracks for their pre-training and ready-to-run preparation of youngsters. 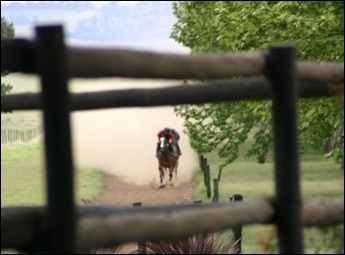 Eragrostis, Teff, Rye Grass, Oats, Maize and Soya are produced on the farm for personal use and sale to well known racing stables and feed merchants. The two stallions we currently have standing at Yellow Star are Spectrum(IRE) and Tropical Empire(AUS). Spectrum(IRE) arrived from Highlands Farm in June to take up residence at Yellow Star Stud, a wonderful stallion to have standing in KZN. Prior to arriving in South Africa in 2005 he stood in England and Australia. 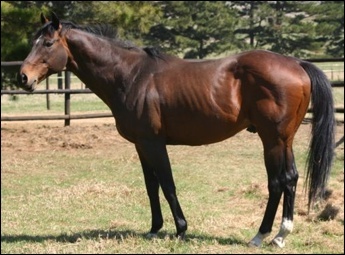 By Rainbow Quest out of River Dancer by Irish River, Spectrum is a four time winner including the Irish 2000 Guineas 1600m Grade 1 and the Champion Stakes 2000m Grade 1, from 1600 – 2000m and he was given a Time Form rating of 126 at the age of 3. He is the Sire-of-Sire Golan, winner of the English 2000 Guineas, and the Grade 1 producing Broodmare Sire of Winchester, Cedarberg and Dutch Art who is now standing at Cheveley Stud, and already the sire of a winner. 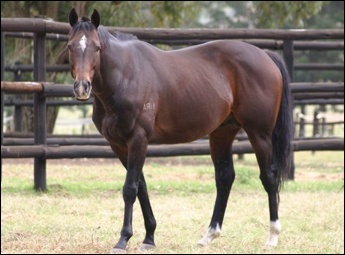 Tropical Empire(AUS) begins his first breeding season this year and is by a former resident of Yellow Star Stud Second Empire(IRE) who sadly died recently and is huge loss to KZN Breeders. Tropical Empire is out of Tropical Touch by Pago Pago. Imported from Australia he originally started his training career with Michael Roberts before moving to Duncan Howells. He has an impressive race record, with 40 starts, 11 wins and 11 places and won a total of R1 185 610. His wins include the Betting World 1900 (Grade 2) over 1900m and the Drill Hall Stakes (Grade 2) over 1400m. He ran second in the Sunday Tribune Byerley Turk (Grade 3) over 1400m, the Cup Trial (Grade 3) over 1800m and Drill Hall Stakes (Grade 2) over 1400m, and a fourth in the Christmas Handicap (Grade 3) over 1600m. Tropical Empire has an exceptional turn of foot and shown good stamina. With his excellent temperament and pedigree he looks to be an exciting prospect for the local mares and he has a number of visiting Australian imported mares. His service fee is free to selected mares. Yellow Star Stud has bred the likes of Fair Brutus (Muhtafal x National Gypsy) and Oracle News (London News x Full Spectrum). 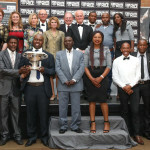 Fair Brutus (Muhtafal – National Gypsy by National Assembly) is an 8 time winner with 12 places, having earned R735 340. He won the Senor Santa Handicap, Grade 2 over 1200 metres. His other wins included the Listed Man O’ War Sprint over 1100 metres, and the Hampton Handicap, also a Listed race over 1000 metres, and a third in the Listed Golden Loom Handicap over 1000 metres. 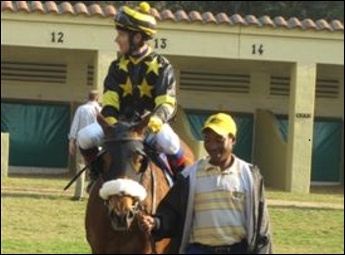 Oracle News (London News – Full Spectrum by National Emblem) is a 7 time winner with 10 places, and earned R629 080 in stakes. She won the Southern Cross Stakes (WFA) Grade 3 over 1000 metres, and second in the Grade 3 Riverworld Stud Prix Du Cap over 1400 metres as well as the Poinsettia Stakes Grade 3 over 1200 metres. 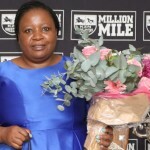 She has placed in three Grade 1 events including the Thekwini Fillies Stakes, Garden Province Stakes and the Fancourt Majorca Stakes (WFA). 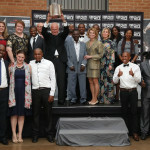 She has also placed twice in two Grade 2 events including the Betting World Merchants Stakes and the Post Merchants. Yellow Star Stud has an open gate policy and all visitors to the Farm are welcome – please call or e-mail us to ensure we are there to meet you. If you would like to contact Yellow Star Stud, please contact Koos 083 390 3045 or Lorraine 082 897 7179 or alternatively email info@yellowstarstud.co.za. 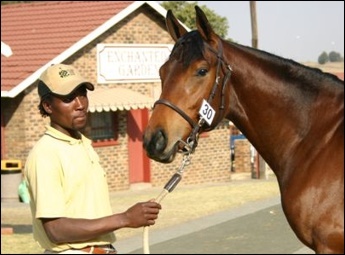 or stud@yellowstarstud.co.za.